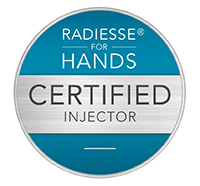 RADIESSE® for Hands is the first and only dermal filler recently FDA approved to correct volume loss in your hands. It is now available at the South Florida Center for Cosmetic Surgery! Over time, loss of volume in the hands can leave skin looking thin, wrinkled and aged. Imagine been able to restore the youthful appearance in your hands in just one office visit. Hands are the most visible parts of your body, so why not restore volume, smoothness with natural looking results that last up to 12 months. Now you can rejuvenate the appearance of your aging hands by restoring volume with “RADIESSE® for Hands!”. Lines, creases, and wrinkles no longer need to have a prominent place on your face. Today, with more people looking for ways to fight signs of premature aging, there have never been more choices and options. 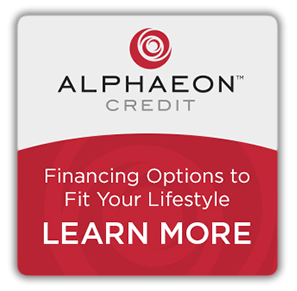 While many look to the convenience and positive results of injectable fillers such as collagen or micro-fat injections, perhaps nothing is as exciting and long-lasting as Radiesse, formerly known as Radiance FN. Radiesse can be injected underneath unwanted lines and wrinkles, creating a “filler” underneath facial creases, giving support to the overlaying skin to keep it smooth with fewer lines. Very fine needles are used to target Radiesse along the wrinkle line. Radiesse treats stubborn wrinkles such as the furrow between the eyebrows, as well as the lines that can run from the sides of the nose to the corners of the mouth – creases that normally could only be treated with facelift or brow lift surgery. Radiesse effectively diminishes the vertical lines that can form around the lips and horizontal lines across the forehead. Radiesse can also make thin lips full and voluptuous. Take the next step: call us at (954) 565-7575 or toll-free at (800) 274-LIPO today to schedule your appointment at the South Florida Center for Cosmetic Surgery, a top med spa in Fort Lauderdale. The long-lasting results of Radiesse coupled with its hypoallergenic properties make it an especially appealing treatment. Made out of calcium hydroxylapatite (which naturally occurs in the body) and suspended in a gel, Radiesse remains soft and natural feeling while results last up to three years. Compare that with the typical results of collagen or micro-fat injections which last between three to six months. The hydroxylapatite in Radiesse takes on the characteristics of the surrounding tissue, ensuring that it remains soft and pliable in the lips and skin. Meanwhile, unlike collagens and micro-fat injections, Radiesse does not get absorbed by the body, allowing it to last much longer than other treatments. Radiesse is a great alternative for people who are allergic to collagen. While collagen is a proven and effective treatment as well, it requires allergy tests several weeks before sessions and some people may develop an allergy to it after several applications. Radiesse is hypoallergenic and rarely causes allergic reactions, making it a smart choice for people with hypersensitivies. While Radiesse is a fairly new treatment, its main component — hydroxylapatite — has been used in medical procedures for decades, including dental implants, orthopedic surgeries and facial surgeries. While there are no real risks or complications associated with Radiesse, some people may experience temporary swelling, redness or tenderness at the treatment locations for a day or two. With a treatment like Radiesse, you no longer have to put up with signs of premature aging. Lines, creases, and wrinkles can be smoothed out, creating a younger and more vibrant looking you.